Our development team is seeking a self-motivated individual with a strong work ethic and a significant attention to detail. This role involves coordinating and testing our mobile game apps on a variety of phone/tablet devices and operating systems. Fierce Fun is an app development studio specialising in mobile apps & online games, for Apple, Android and HTML5 platforms. We provide a supportive environment for a QA/tester to gain experience in a games app development company. – Significant attention to detail and problem-solving skills. – Excellent communication & documentation skills. • Working with the Project Manager to produce effective content for the company’s social media channels (Facebook, Twitter and others). Docklands Innovation Park, East Wall, Dublin 3 (team meeting and reviews). Candidates need only attend weekly meetings onsite .Travel/lunch expenses will be provided. Quizzes, like University Challenge, Trivial Pursuit, Jeopardy, Who Wants to be a Millionaire, have been tricking us with trivia, puzzling us with puzzles and probing our knowledge on the most obscure topics you can find, and we never grow tired of it. The fact is we love it. But why? Quizzes are not new, they are the age old test of acquired knowledge. Well here at Fierce Fun we want to offer something new to the genre, with our new generation trivia sensation, QuizTime Trivia. 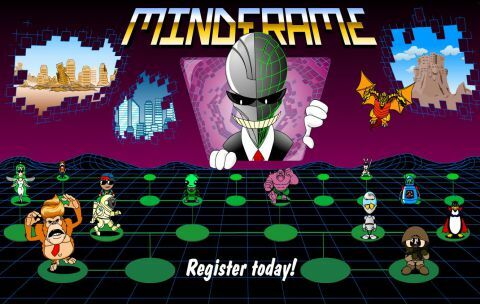 It offers the player endless trivia quiz fun and is the fastest game online to test your trivia knowledge. If you are a fan of trivia quiz games and want to test your knowledge? Then look no further and try this, it never gets dull. The Quiz reflects the highest form of human achievement. So why is the quiz, such an essential part of the human condition? People are natural exhibitionists and posers when it comes to what they know (or think they know) and seek the validation of their intellect by their peers. This is our basic competitive nature and is one of our unique human traits. I see the quiz and quizzes in general as the zenith of human development and it is a key ingredient in what separates us from the animals. Some say that our ability to manage fire, speak, develop agriculture, write, and cooperate are the benchmarks for human evolution. These are indeed great achievements. But I say the quiz is our greatest. One of the most important human achievements is the pursuit of knowledge and the retrieval of it when needed. This along with our imagination, which we may use to create scenarios for our challenges is unique to humans, and has allowed us to make sense of our world and find answers to all the problems that assail us as a species. So what is the origin of the Quiz? Testing of ability has always been a feature of human society. The testing of knowledge, was common in early civilisations as far apart as Ancient Egypt in the Mediterranean to the Han dynasty in China.Most ancient societies offered education to certain members of the populace and passing tests of knowledge was a way of advancing yourself in society, just as it is today. Testing and examination through the ages came under a variety of names but the term quiz is relatively new. The use of the word Quiz for an intelligence test was first recorded in mid 19th century, when first used as a verb for interrogate. Later in that century it came to mean what it does today, i.e. an entertainment based on a testing of someone’s knowledge. Earlier uses of the word conveyed that of an odd or eccentric person, as used by the English novelist, Fanny Burney in a diary entry by her in 1782. The most interesting origin theory of the word is a Dublin tall tale, whereby the Impresario Richard Daly, bet he could introduce an unknown and nonsensical word to the English language and let the public decide its meaning within 48 hours. He had people graffiti the word all over the city and in two days it was the talk of the town and entered the English language. Whether or not the meaning was agreed upon by the Dubliners of the day is unclear but the meaning eventually evolved into the Quiz, we understand today. How has the quiz changed over the years. Initially a parlor games for the middle classes it eventually gained respectability, when it was used as the basis for the IQ test. Intelligence Quotient or IQ as we more commonly know it, was devised to measure the ratio of the mental age of a person to their actual age. This was carried out by what came to be known as Mensa. Also known as the international high IQ society, Mensa, provide a forum for people of high intelligence, as judged by their quiz or test, to become members and to show off to each other, seriously, they do. So the quiz had attracted the super brainy people. Mensa was set up in 1946 and was advertised as a club for those with high IQ’s, no dummies need apply. It was was set up by a British psychologist named Cyril Burt. The problem with Burt was that he was a eugenicist, meaning he believed intelligence was hereditary and that society could enhance the human race by allowing the brightest and best to breed. Eugenics had it roots in the selective breeding movements, popular at the time in Germany and Sweden. So is that why he set up this social club? For the intelligentsia to copulate? Possibly, but the interbreeding of the ruling Royal families of Europe over centuries, never produced one Einstein. So the evidence suggests it is codswallop. Mensa now say they are a social club of intelligent friends. So dont worry if you cannot get into Mensa, all intelligence can be learned and help is at hand with QuizTime Trivia. This quiz is ready to take your brain on a rapidly moving roller coaster ride of unparallelled dimensions. You will be examined on your knowledge of, news, sports, music ,films, history, science, celebrities and much more. There are 150 levels of ultra fast rapid fire rounds. You will have to react with speed dexterity and wit, and every level you climb will get just a little bit more difficult. QuizTime Trivia takes no prisoners. Survive this and a Mensa test will be a walk in the park. 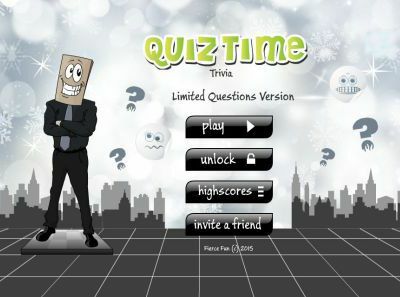 Now you too can show off, take on the Bag Man in QuizTime Trivia. When you reach the top level in QuizTime Trivia you too will believe, the Quiz is the highest form of human achievement. This issue has come back into focus again as the UK government is now granting tax breaks to computer game development companies. Qualifying companies can get up to 25% relief on their development costs. Others countries such as France and Canada has also successfully introduced tax incentives for video game development companies. Why are they doing this and what is the implications for the Irish games industry? Currently the global games industry is worth over $80 billion. It is now the largest entertainment industry sector. As computer games are essentially software products, they can be developed in any country in the world. Forward looking governments realise the significance of this industry and are doing everything they can to attract game development talent and investment. Ireland should be doing the same. We have a small (but growing) number of indigenous game start-ups and some high profile multinational game support companies. The IDA has done well to attract these multinationals to locate in Ireland but in general, they are here for the same reasons as most other multinationals. They are not here for game development talent – most don’t do game development in Ireland. Typically countries offer a 25 to 40% tax incentive to game developers. To compete, Ireland should offer a flat 50% tax relief rate against qualifying development costs and only for the creation of original IP (intellectual property). 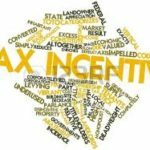 With these stipulations, this tax break would ensure that only high value jobs are created. Within a very short period, we will get international game development companies locating their R&D teams here. Like the music business, the games industry is a hits driven industry. 1 in 5 games breaks even, 1 in 10 makes a profit. The top 10% makes the majority of the significant profits. So for a country to have a successful games development industry, you need a critical mass of developers. We don’t have the numbers yet in Ireland. An attractive focused tax incentive would be a good start. As the UK has recently introduced their games tax incentive, Ireland should introduce one in the next budget. It is a competitive global marketplace for games development talent, we need to act quickly. If you are a games nut and particularly like mobile games, we want to hear from you. We have a requirement for a game development and a testing intern who would like to gain experience in a casual games development studio. So what do you need, basic programming and/or Web development skills? Any modern languages will be fine. No coding experience is required for the testing position. If you are interested, drop us a line using the contact form. Note – these roles have been filled.